**Special offer** Free 60 minute consultation for Parkinson’s patients. Call for a free 15 minute pre consultation call to determine if I am the best person to help you. Email nick@poisedandbalanced.com Available in Central London, Notting Hill, Ladbroke Grove W11. How does the Alexander Technique helps with Parkinson’s? Alexander technique skills may help you become calmer, balanced, and controlled during your daily activity and when dealing with moment-to-moment challenges relating to Parkinson’s. increasing independence and overall confidence. AT is taught in both group classes and in private sessions. While private sessions may allow greater opportunity for individualised feedback, group learning may provide additional perspectives and a sense of solidarity with others, possibly reducing social isolation. Group classes will usually be more affordable. Which skills will I learn? better ways to approach daily activities. Recommended by both the NHS and the National Institute for Health and Care Excellence (NICE) to improve quality of life. How will I be taught these skills? During an AT session, the teacher will provide verbal cues and a non-manipulative, light touch to guide your movement. This may help you become more aware of excessive tension that may be interfering with your balance and potentially causing anxiety and stress. increase extension of your spine and limbs. You will also learn how to practice Active Rest on your own at home. A course of 25 private sessions of 45-60 minutes can provide a good foundation for most people. Wear comfortable, loose clothing – tight clothing or thick fabrics like denim will impede your range of motion, which can interfere with your ability to balance, move freely from sitting to standing, and so forth. Having your partner/carer attend your sessions with you may be helpful – your partner/carer may be able to support your learning with their own understanding of how to apply AT principles. Consider attending “tune up” sessions – these may help you handle new Parkinson’s-related challenges. As Parkinson’s is a progressive condition, you may find it useful to return to your AT instructor for sessions when you feel the need to reinforce your skills. Your instructor may be able to help you apply your AT training to address a new symptom or challenging activity. 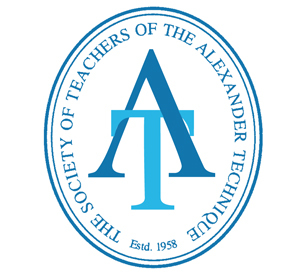 Alexander technique instructors are certified by national and international societies who must answer to government regulations on ethics of practice. AT complete extensive training, usually over a three-year period. Parkinson’s is a progressive neurological condition with physical symptoms such as trembling, loss of balance and coordination, and impaired movement as well as feelings of anxiety, depression, pain and insomnia. Although the Alexander Technique isn’t intended to reverse the underlying cause it can greatly help to get the most out of the resources that are still available by teaching, through experience, how to move more efficiently and improve awareness in activity, as well as helping to manage anxiety. Both the NHS and the National Institute for Health and Care Excellence (NICE) recommend the Alexander Technique as a management tool for dealing with the symptoms of Parkinson’s and improving quality of life. The School of Integrated Medicine, London University of Westminster, performed a randomized controlled trial of the Alexander Technique for idiopathic Parkinson’s disease which showed that Alexander lessons led to a significantly increased ability to carry out everyday activities compared with usual medical care. The trial also showed that the rate symptoms progressed was reduced as well the rate at which medication needed to be increased. I regularly work with clients with Parkinson’s who find the Alexander Technique really helps them to reduce their tremors, improve balance and coordination, breathing, posture and their confidence. Patient’s Testimonials Click links to watch video below.